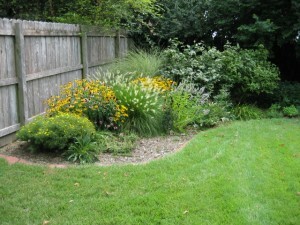 Here’s the latest news on this year’s garden. All the plants have grown but there is very limited fruit production so far. I think the extreme heat we’ve been experiencing here has stunted the progress of most everything. The few near ripe tomatoes that were on the Black Krim plant were eaten by either a squirrel or an opossum. Can’t say that I blame them… those are extremely tasty tomatoes!! The green zebra tomato plant is dying as it did last year. I trimmed the dead branches and sprayed it w/ organic pesticide/fungicide. Hopefully it will survive because I’ve been looking forward to trying this variety of tomato since last year. 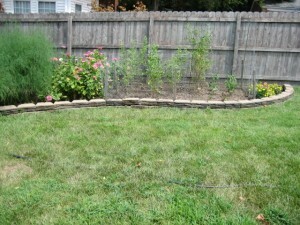 I also sprayed and fertilized all the other plants. My butternut plants were torn apart ( but fortunately not completely) – probably by a squirrel looking for moisture in the vines. They are such destructive critters! There are a few jalapeno peppers and one habanero ripening. 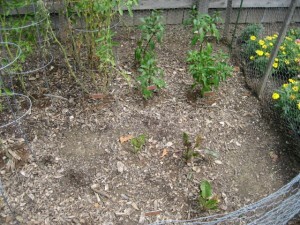 Four of the six Swiss chard plants survive so this fall I’ll be enjoying these tasty greens! 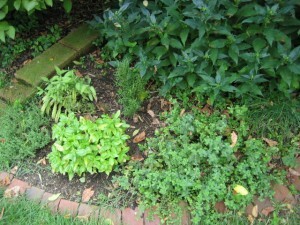 For some reason my tarragon is not thriving but other herbs are doing well. 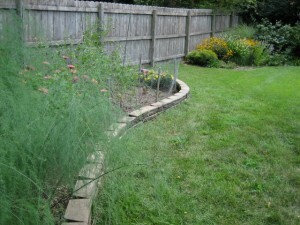 I’ll probably transplant the tarragon to a different spot in the fall in hopes it will do better next year. 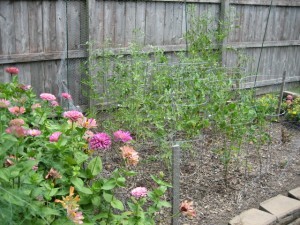 The zinnias and wildflower garden are going gangbusters! The temperatures are forecast to be in the upper 80’s this week. Maybe this will help the plants to stabilize and start producing. Fingers crossed!! I think extreme heat is very hard on the garden. Hopefully you’ll start getting more veggies soon. 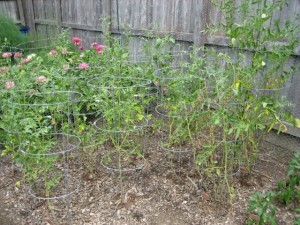 BTW, I tried a new organic tomato fertilizer this year called Mater Magic, and it is fantastic. My tomato plants are loaded with fruit. Jealous of the Zinnias. I always forget to plant those. Thanks for the words of encouragement! I’ll have to try Mater Magic. Currently I use Tomato Tone. 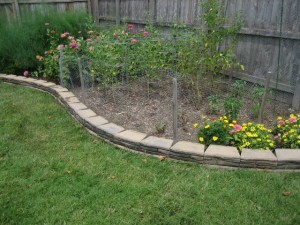 Curious how you keep the squirrels out of your garden. Hi Bruno I haven’t been over here to visit for ages. Sorry. I tend to rely on Twitter to know when someone has posted. I’ll add you to my links page so I remember to visit. My son’s future father in law has a garden so I have been getting goodies but without the hard work.